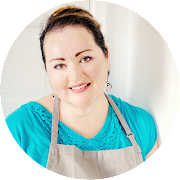 Why massage kale? 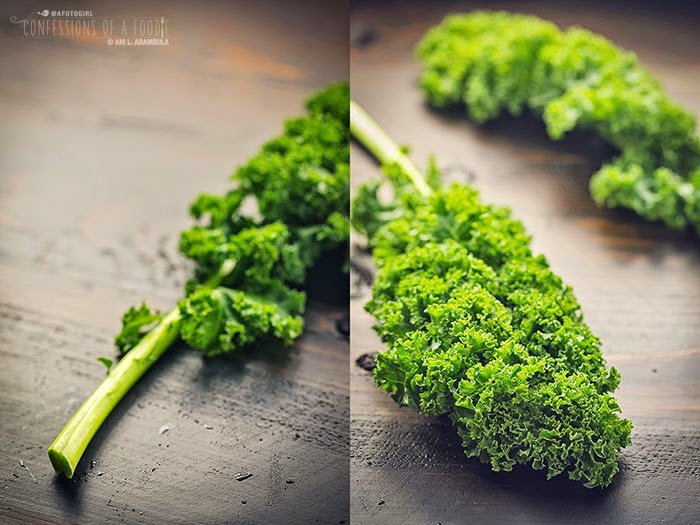 Massaging breaks down the cellulose structure of kale, turning it from a tough, fibrous, bitter green to a sweeter, silkier, darker green that is infinitely tastier than it’s pre-massaged state. "Use what you have, use what the world gives you. Use the first day of fall: bright flame before winter's deadness; harvest; orange, gold, amber; cool nights and the smell of fire. Our tree-lined streets are set ablaze, our kitchens filled with the smells of nostalgia: apples bubbling into sauce, roasting squash, cinnamon, nutmeg, cider, warmth itself. The leaves as they spark into wild color just before they die are the world's oldest performance art, and everything we see is celebrating one last violently hued hurrah before the black and white silence of winter." 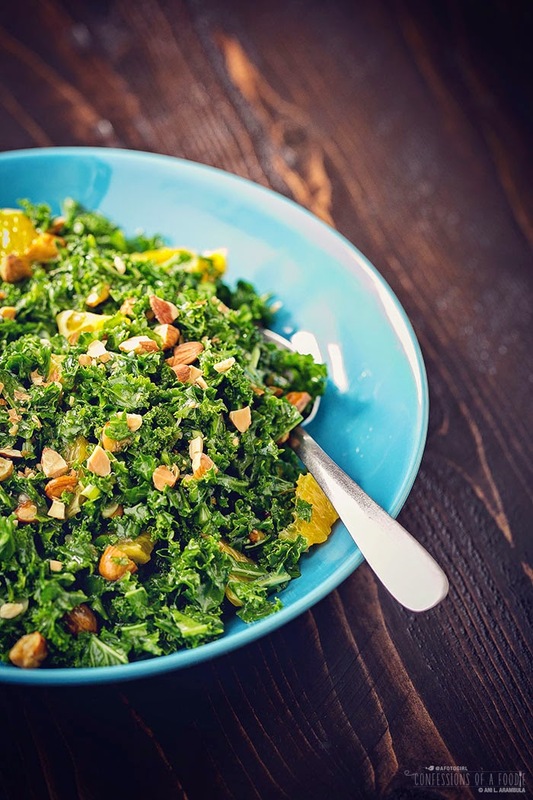 I give you permission to play with your food with this recipe: We’re massaging kale today. 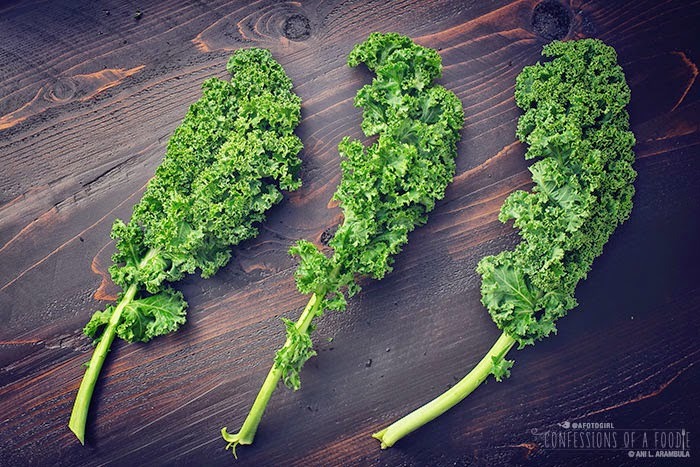 Massaging breaks down the cellulose structure of kale, turning it from a tough, fibrous, bitter green to a sweeter, silkier, darker green that is infinitely tastier than it’s pre-massaged state. 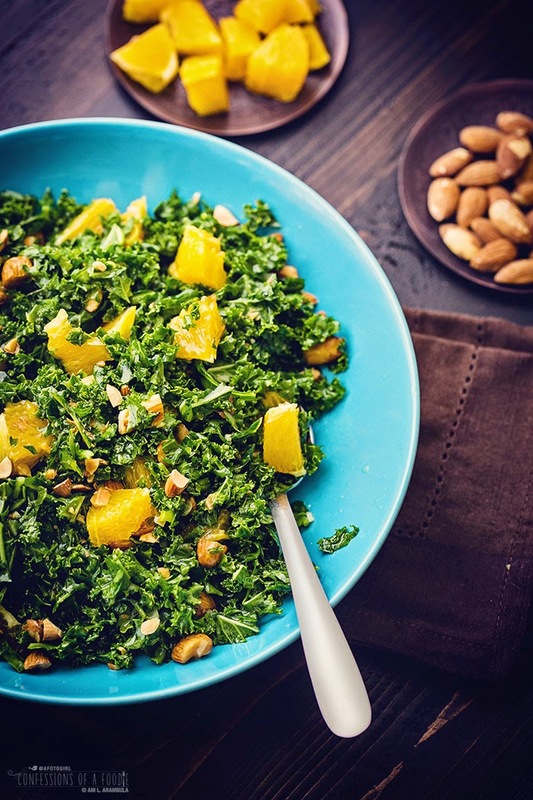 Raw kale haters might even become raw kale lovers after tasting this salad. You can use your favorite brand of marmalade here; I opted for sugar-free. 1. Remove and discard large center stem from kale leaves. 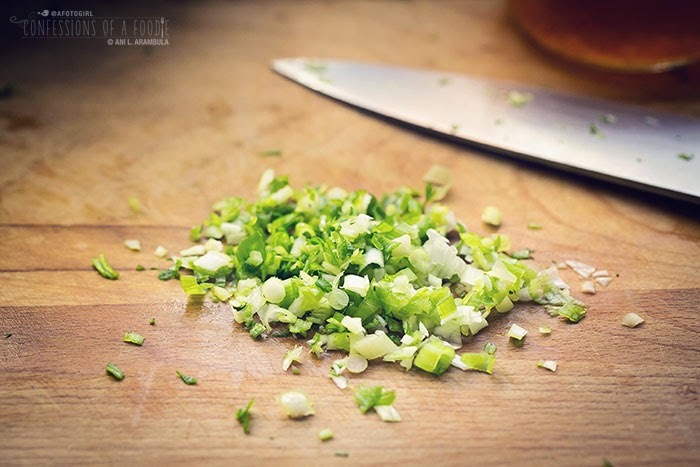 Chop or tear leaves into bite-sized pieces and place in a large bowl. 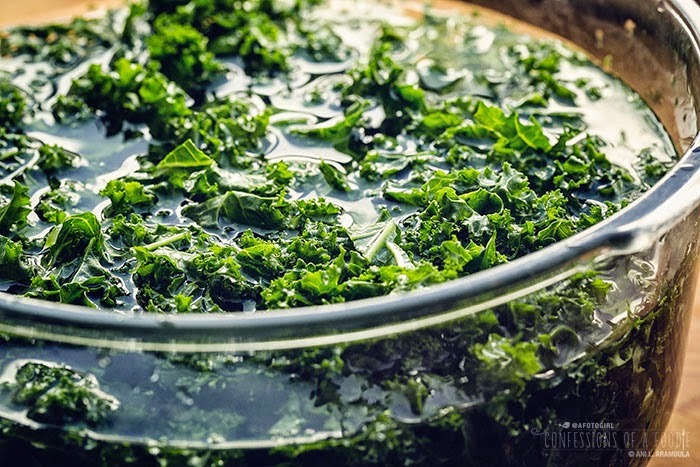 Fill bowl with water, covering kale and swooshing leaves to remove any dirt. Set aside to allow dirt to settle to bottom of bowl. 2. 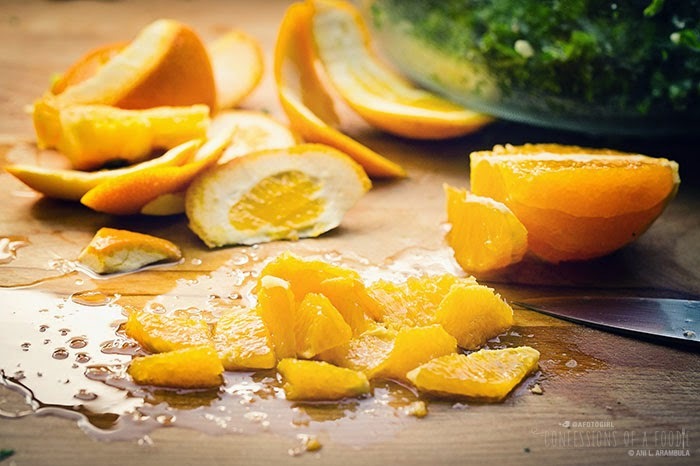 Fill a mason jar with the vinegar, oil, garlic, ginger, green onion, marmalade, salt and pepper. 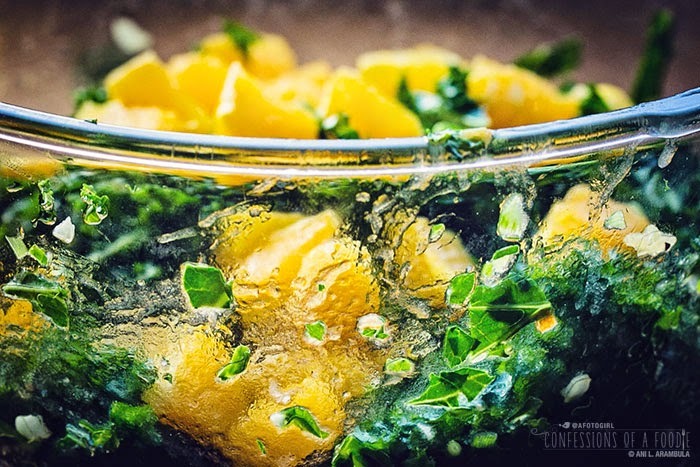 Screw lid on tightly and shake jar well until ingredients are mixed thoroughly and dressing has emulsified, about two minutes. 3. 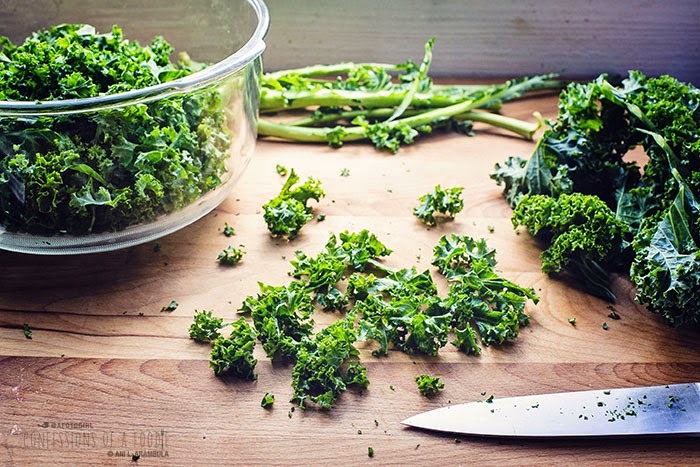 Carefully lift out the kale leaves from the water bath and place into a salad spinner or use a towel to dry kale. 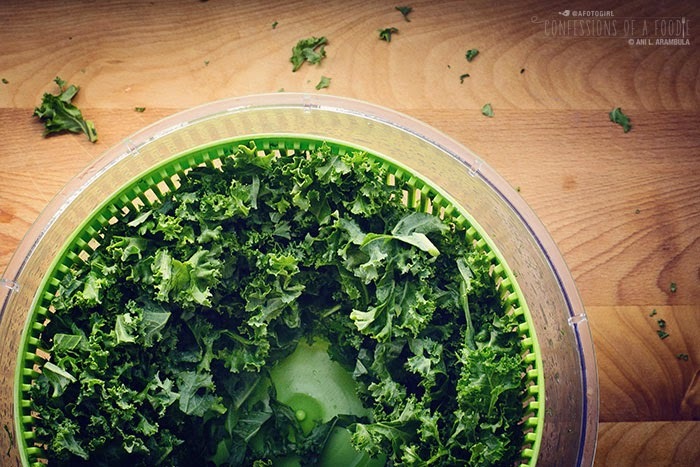 Transfer kale to a serving bowl. 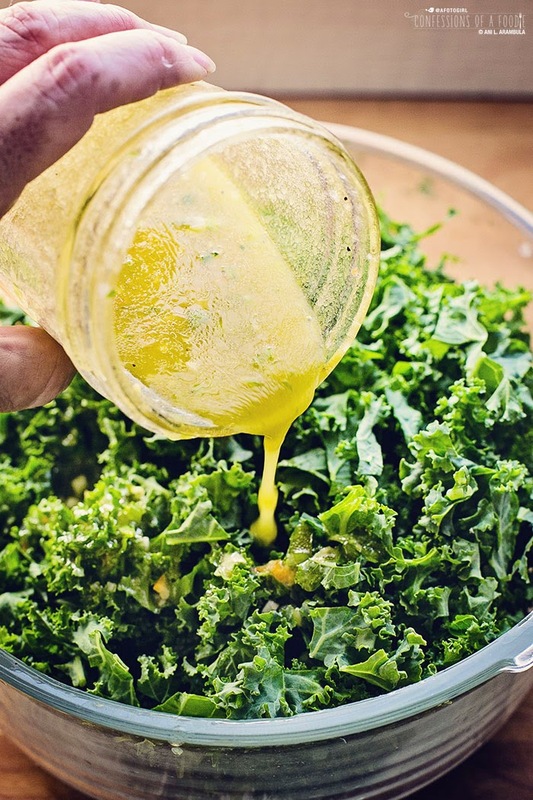 Drizzle the dressing over the kale and using both hands, massage the dressing into the kale by picking up handfuls of the leaves and rubbing them together. As you rub, you’ll notice the leaves getting softer, shrinking in size and becoming darker in color. Massage leaves for a full 3 minutes, then taste. If the kale is still bitter, continue massaging for another minute or two, adjusting seasoning if needed. 4. 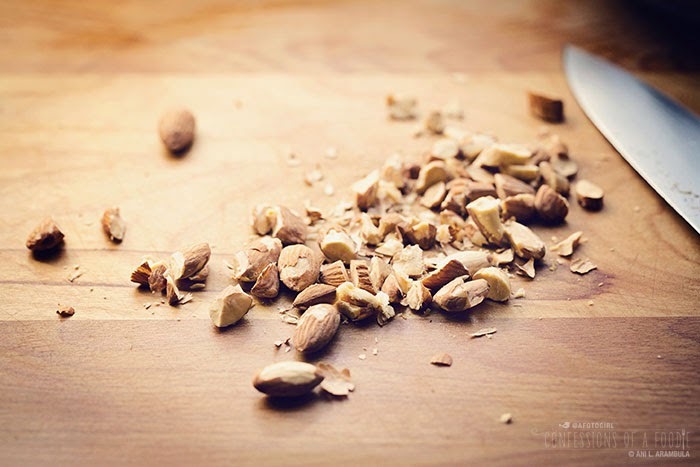 Toss in the orange cubes and the almonds until coated well with dressing. Divide salad between four bowls and serve. Note: Add diced chicken to up the protein and make this an entrée.